NINJA PANCAKE - Such Audio. Very Ninja. Much Enjoyment. A bunch of content creators decided to get together on the internet. The end result is below! Hey all, Lady and Tinkkz here! We’re getting ready to launch our new project, Boozy News, and thought we’d do a teaser trailer! Ever wonder what we’re really doing reading weird articles on the internet late at night? Well, it was getting ready for this show! Check it out and let us know what you think at boozynews@ninjapancake.com or on Twitter @Boozy_News. We have a real treat of an episode for you today! This episode, recorded on Thursday, April 4th, marks the return of Fredrik Thylander. He’s seriously our favorite person. 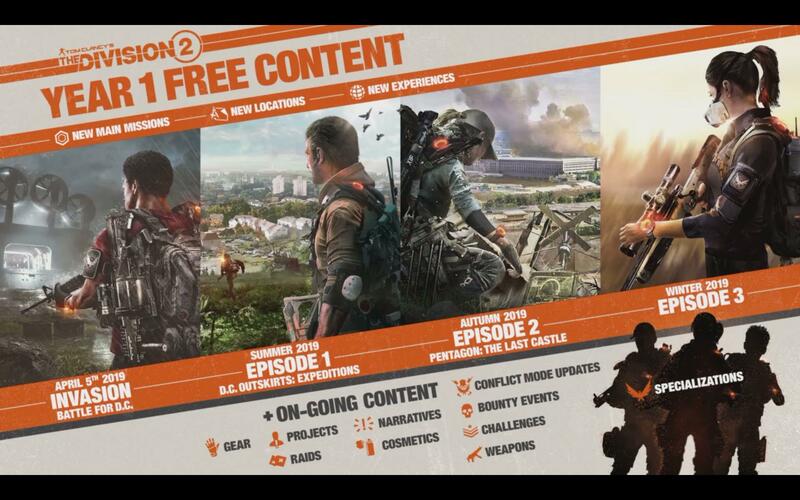 The real fun here is he can actually talk about his work on The Division 2, along with the game, this time around. No trolling. We’re serious, as serious as birds on fire. You’ll have to listen to figure that one out. Don’t forget the contest for the Merchoid jacket is still going on and will have your friends asking: “Hey, where’d you get that jacket?” GFHL and thanks to Thylander for taking time out of his evening to spend it with us! GNA E165, The GNA crew hang out and talk about the most random things you can imagine. From JRPGs to opera scenes to The Gate. Why the hell hasn’t Damok played any of these games by the way? Seriously. Not one of them. Topic? There was a topic? Let me check….. Nope. No rhyme or reason to this episode. The guys did go back to the future though. They found out not to f^&* with kangaroos and penguins are nightmare birds. Or they are John Carpenters “The Thing” A positive, They aren’t getting sued for this episode. Well, they shouldn’t. Last question. What does an elephant drunk on wine do?